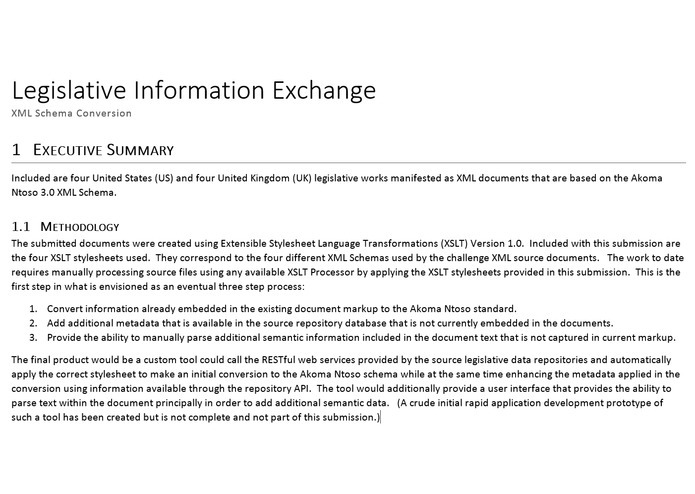 Four US and four UK legislative works manifested as XML documents that are based on the Akoma Ntoso 3.0 XML Schema are provided. They were created using XSLT Version 1.0. Included in the submission are the four XSLT stylesheets used that correspond to the four different XML Schemas used by the challenge XML source documents.